The earliest stage of the works focused on the church's bell tower and Spire which, with extreme exposure to weather in its coastal location, eroded over time and was most in need of repair. 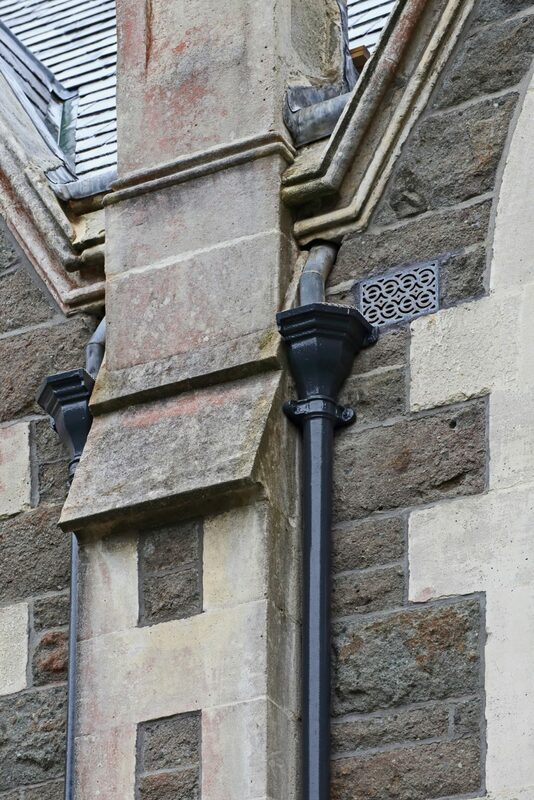 Coupled with this has been the restoration, as closely as possible to its original state, of the distinctive town clock, reinstatement of new cast iron rainwater pipes and spouting and remedial works both externally and internally to eradicate the extreme damp problems and water penetration. This included measures to reduce salt contamination of the interior and repairs to the internal structural timbers affected by dry and wet rot and traditional plasterwork. The cast iron clock faces, which were in a terrible state of repair, were carefully dismantled by two unique trades working closely together, an engineering metalworker and a specialist glazier and taken to a workshop (Each face of the clock is in two pieces, each of which weighs about 60kg!). The faces were repaired and carefully cleaned and repaired using clear epoxy resin to bridge the gaps on the numerals which mark the four clock faces, so that the maximum amount of original cast iron material could be retained. The special illuminating glass for the re-glazing was specially sourced and imported from France and the clock mechanism was fully refurbished by the local horologist. New LED lighting was tested and installed inside the clock room so that the clock now is in full working order and chimes and glows at night. The building has suffered for many years from major water ingress, condensation and rising damp causing major salt contamination of internal walls and 100% saturated mass masonry with and dry rot occurring to structural timbers. Removing cementitious mortars and plasters to walls and re-introducing pure lime mortars and plasters has made a dramatic improvement on the building’s well-being. Reduction of external ground levels adjacent to walls and creation of a drying zone has meant that the old sub floor vents have been revealed and the base of the walls and subfloor of the hall has been allowed to dry out. The plastering involved traditional skills rare to New Zealand including the replacement of a timber laths and haired lime plaster to the hall. An interesting challenge was the specification and scheduling of every single component of the new cast iron rainwater pipe and spouting system, which all had to be detailed and ordered well in advance of the commencement of the project. 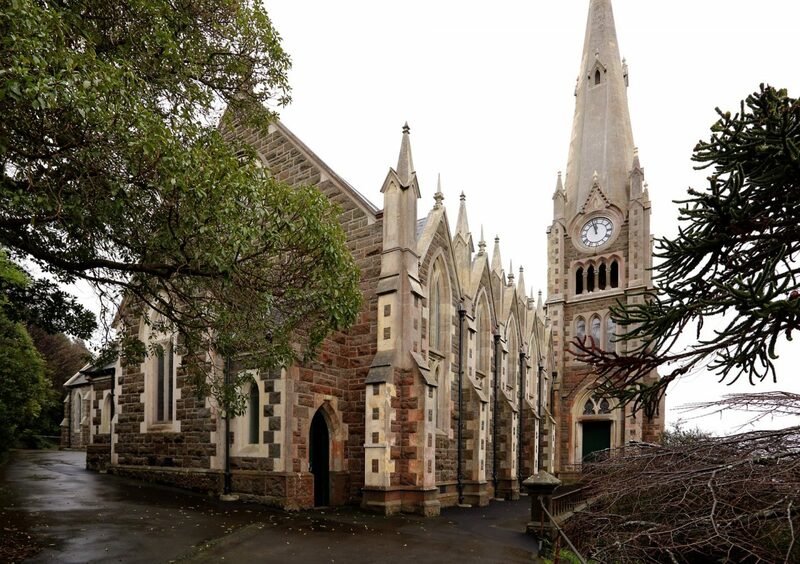 The Church had suffered from years of failing rainwater pipes and spouting which was either stolen (copper) or easily broken (plastic). 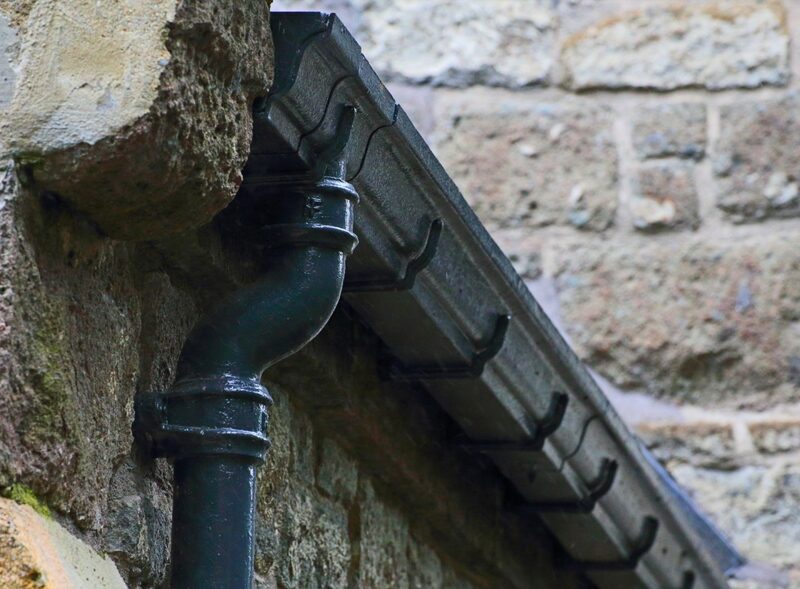 The cast iron being extremely robust, difficult to remove and aesthetically the most appropriate for the quality of the building and will be the single most important piece of work to ensure the interior is kept dry. 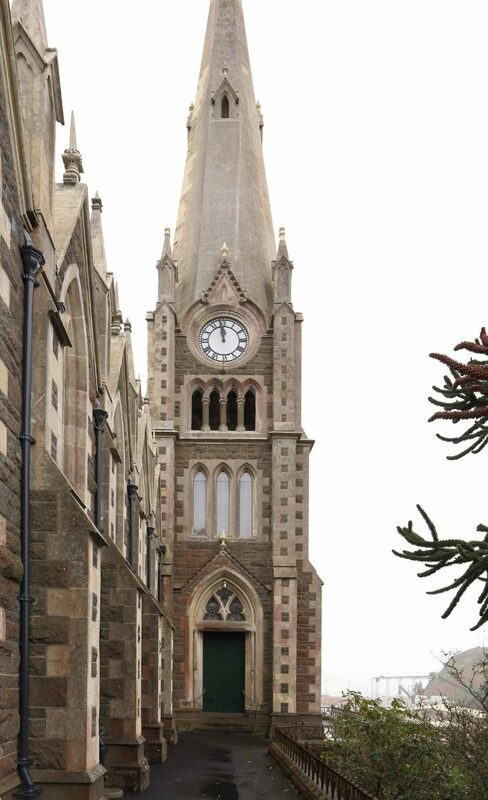 One major challenge was the careful balance that sought between replacement stone and conservation of existing stone. 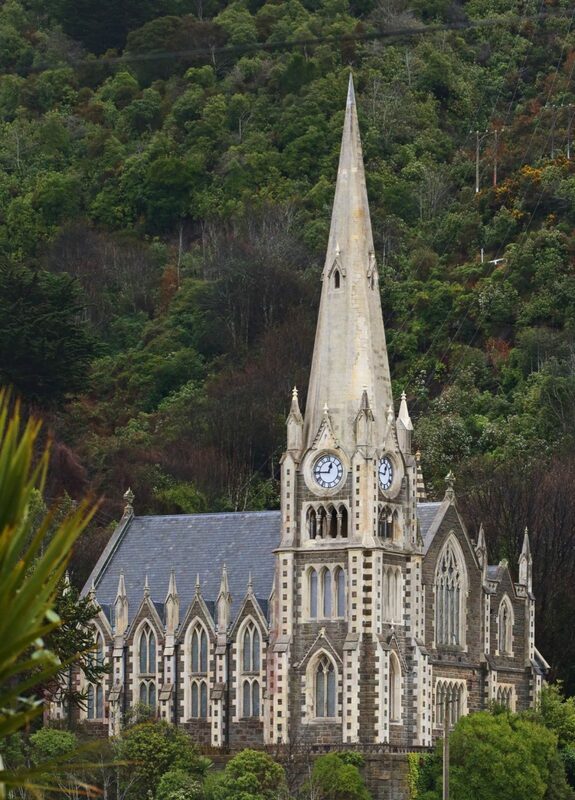 Lime shelter coating was employed to vulnerable areas of deteriorated, but structurally sound Oamaru stone, but for some decayed stonework, which was beyond saving, new carved stonework was brought in. The mason employed apprentices from the local polytechnic as part of a training programme in stone masonry skills. One large buttress pinnacle had deteriorated such that one huge block had to be helicoptered into place on site. This required great skill by the helicopter pilot and the masons. 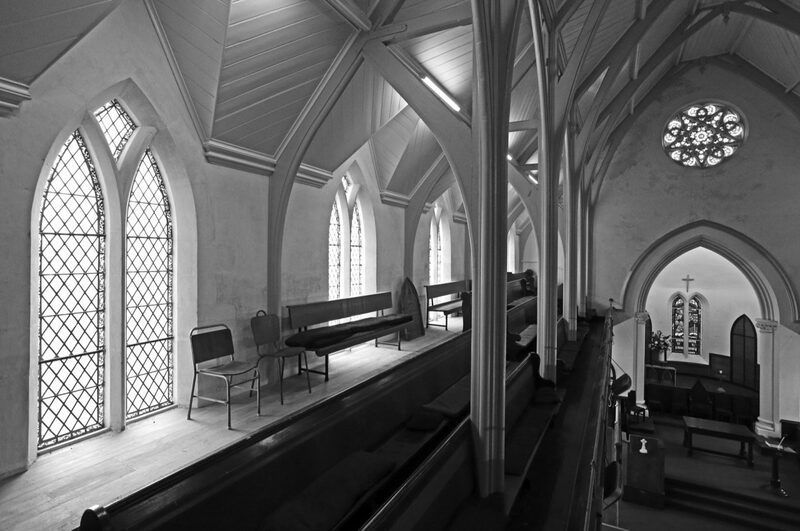 Margaret Innes and myself send our sincere thanks to you, for your guidance and enthusiasm from the very beginning of your involvement with the restoration of Iona Church. The high standard of your plans and your determination that only the best was good enough, brought about this result. We were so proud last night and it would have been so good if you could have shared the honour and the excitement we both felt when Iona Church was named as the one to receive the award. 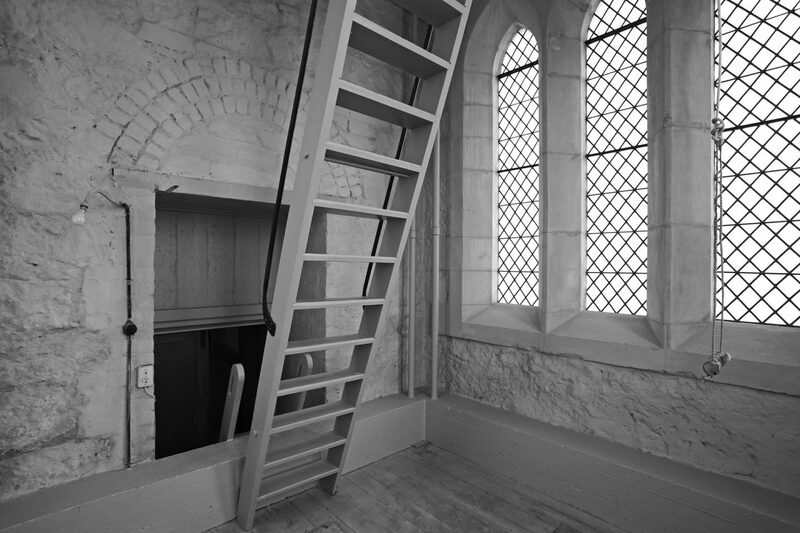 The leadlights to the middle stage of the tower were in a precarious state of repair with missing glass, broken lead cames. The lead cames were originally a specific colonial profile, only obtainable now in Australia, and the glass was very special thin hand blown glass only available from France. This challenging part of the works involved removal of all 9 leadlight lancet windows and the careful rebuilding of each in the workshop by a specialist – re-using surviving glass in its original location and then carefully hand sandblasting new glass from France to match the original. A small vent was designed and created in each window by setting the cusp of the window slightly forward so that the room is well ventilated and so will prevent condensation build up in future. Exterior glass protection has been fitted to each window in a totally innovative and unobtrusive way so that the leadlights are protected from vandalism and bird damage. The interior walls were scraped of the cement spray wash that had been previously applied to walls and then a limewash applied to assist with the drying out of the masonry.